Armour Thyroid - like any other thyroid replacement drug or supplement - can cause side effects. Read on to find out what they are and how you can lessen the risk of having them. Amour Thyroid is a natural preparation designed for the treatment of hypothyroidism. Amour Thyroid contains liothyronine (T3 hormone) and levothyroxine (T4 hormone) which comes from porcine thyroid glands, which is why it has the name desiccated thyroid. Although Amour Thyroid is a natural preparation, it may cause side effects. 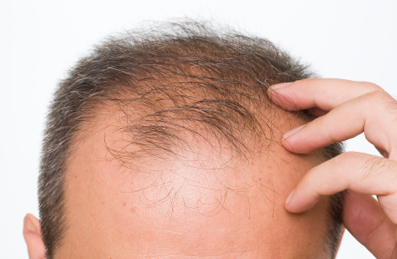 Hair loss is a very common side effect that occurs within the first few months of treatment. This symptom is not really dangerous, and it is also temporary. Hair eventually begins to grow back once the body adjusts to the medication. Allergic reactions to the drug are rare – but they can still happen. 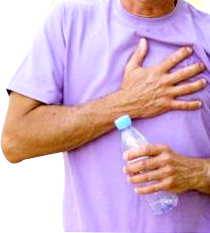 Seek medical help once you notice any serious symptoms of allergic reaction. The effects of Armour Thyroid are usually caused by taking too much of the supplement which can cause a spike in the thyroid hormone levels in the body. Or they can also be due to allergic reactions with the drug. Aside from that, you should also let your health care provider know if you are pregnant or lactating. Make sure that you also inform your health care provider about any other medication (prescription or otherwise), vitamins and other supplements that you are taking. Armour Thyroid is derived from the thyroid gland of pigs. You should steer away from this supplement if you do not consume pork due to religious reasons or if you are allergic to pork. Some people use Armour Thyroid because it is known to cause weight loss. If you have no history of thyroid problems – then you should never use Armour Thyroid in order to shed off weight since it can cause serious problems. Armour Thyroid can worsen heart problems, which is why you should let your health care provider know if you have heart-related conditions. If you have a history of heart problems, your doctor will usually prescribe a low dose for you and increase it as the time goes by. If you happen to notice a worsening in your heart condition, inform your doctor right away. You should not take this medication for goiter problems or if you are suffering from low levels of thyroid-stimulating hormone. Individuals with low TSH levels mean that they already have high thyroid hormone levels, and taking Armour Thyroid can increase the thyroid hormones to more dangerous levels. The medication can also increase the risk of osteoporosis, especially if your dose is too high. This is exactly why you should only take the specific dose prescribed by your healthcare provider. If you are suffering from any other condition, make sure to let your health care provider know about it as Armour thyroid may potentially react with other medications. While Armour Thyroid is considered a class A drug (generally safe for pregnant and lactating women), you should still let your health care provider know that you are pregnant or lactating so that your dose can be adjusted accordingly. The effects of Armour Thyroid usually start manifesting within several weeks, so if you are not feeling any changes within the first two weeks do not get discouraged yet. Continue taking the medication as prescribed until the effects start to manifest.